92% of people trust recommendations from friends and family above all other forms of marketing (SOURCE). Simply put, people care about what others think and recommend. Nonprofit organizations can leverage social proof to attract new donors and recruit a fresh cohort of supporters. Here are a few ways you can increase the visibility of your organization’s social proof to harness its power in garnering new support for your organization. Testimonials are persuasive forms of social proof because they embody an element of storytelling that builds trust and credibility. Thanks to mirror neurons, our brains are wired to internally replicate experiences that we see, hear, or read about, so personal examples can help your donors envision themselves in the same situation and create a meaningful connection with the storyteller’s message. Collect personal testaments from your loyal supporters to invite prospective donors into the same worthwhile experience. 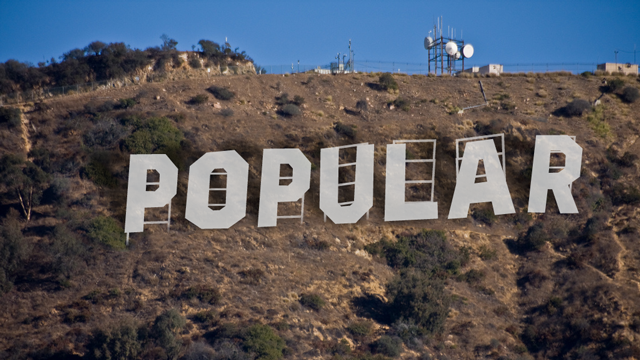 Testimonials from top influencers can especially increase the value of your social proof. 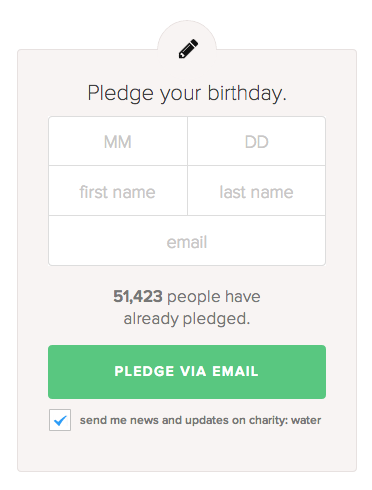 Create a landing page form to ask supporters about their involvement with your organization. Why are they compelled to support your organization? 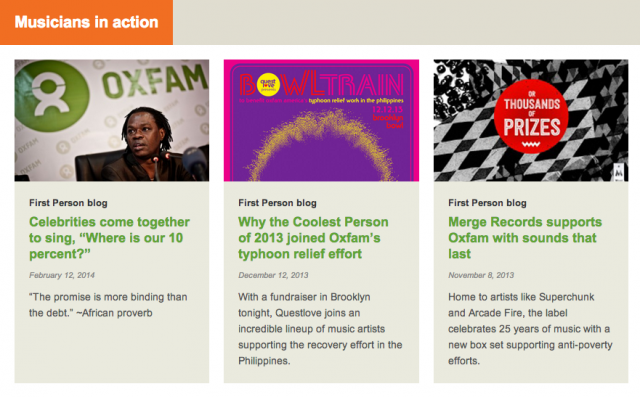 Oxfam America implements this approach by dedicating a section of their website to influential ambassadors and their stories, including celebrities, musicians, and notable leaders in various sectors. The tenets of visual storytelling apply here too, so include photos of your donors and fundraisers to make your testimonials even more authentic. According to a recent study by the National Center for Biotechnology Information, photos increased levels of trust among participants when evaluating claims. Showcase photos of current supporters alongside your organization’s statistics and testimonials to increase the perception of your social proof. 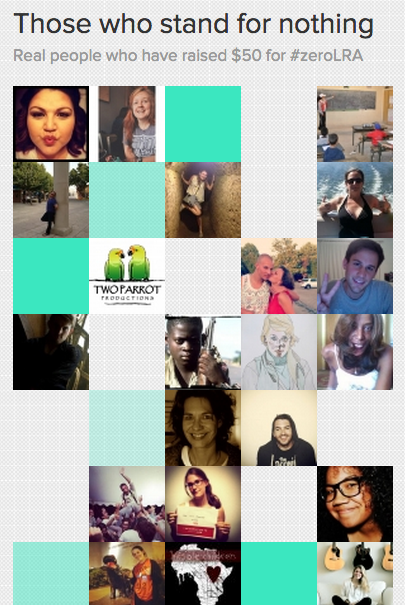 Invisible Children presents an interactive display of fundraisers who have reached a particular fundraising level for their #zeroLRA campaign. Each thumbnail links to the individual’s fundraising page and allows visitors to learn more about supporter’s stories as they related to Invisible Children. By showing the faces of their fundraising effort, Invisible Children not only supports and encourages their current fundraisers, but they help prospective supporters feel like they’re aligning themselves with a community of people committed to instigating change. If you’ve received positive mentions from credible media sources, publications, and other thought leaders in your sector display them on your website. You can carve out a “pressroom” section on your website that showcases a list of articles that can help potential supporters understand more about your organization. You can also highlight key quotes and recommendations from these sources to further bolster social proof. Although social proof is not a new concept, the Internet has made it a powerful marketing concept to influence social behaviors. By building and increasing the visibility of social proof for your cause, you more clearly demonstrate the value of your organization to prospective donors and fundraisers.